ALBANY — One of the most vocal critics of the state incentives offered to lure Amazon to New York has been nominated to an arcane board that has some say over the terms of the deal. And Gov. Andrew M. Cuomo, who has championed the Amazon deal, isn’t happy about it. Sen. Michael Gianaris (D-Queens), who represents the area where Amazon would build a new campus, has been named to the Public Authorities Control Board, the panel that often must sign off on bonds and other types of economic-development borrowing and incentives. The board normally operates in obscurity, but famously tanked then-Mayor Michael Bloomberg’s plan in 2005 for a major sports stadium in Manhattan. The nomination, made by Senate Majority Leader Andrea Stewart-Cousins, was first reported by The New York Times. Technically, it’s a recommendation, but governors traditionally haven’t challenged appointments to the PACB. Assembly Speaker Carl Heastie, who also has an appointee, said Monday he wasn’t sure the board could affect the Amazon project for a “year or two” – meaning the project could be underway before the board would get involved. 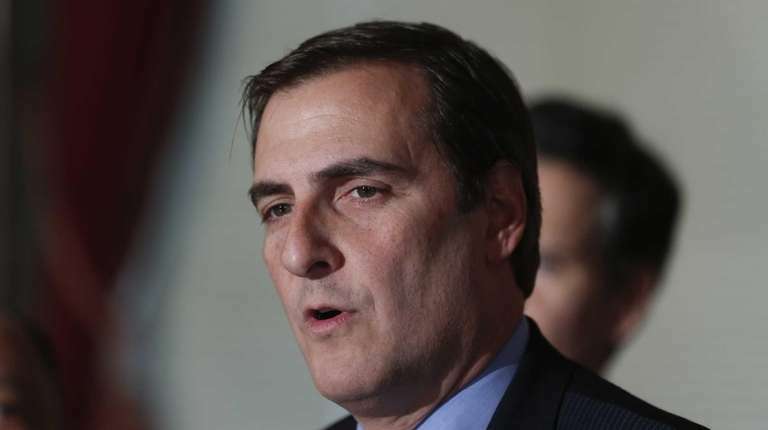 Gianaris has called the nearly $3 billion in state and city incentives a “bad deal” that wasn’t necessary to lure the retail giant. He said the city and state were “duped” and noted Google expanded recently in Manhattan without government incentives. He said the money would be better spent on schools and subways. He also vowed, when the deal was announced in November, to do what he could to stop it. Cuomo has been the most vocal defender of the deal. Among other things, Cuomo says the company will create 25,000 jobs at a new Queens campus, making the tax incentives worth it. His office reacted sharply to Gianaris’ appointment. The governor, Senate and Assembly each has an appointee to the panel and any one member can veto a project. But Heastie (D-Bronx) said Cuomo probably could begin the incentives through existing economic-development programs before every having to come to the PACB for approvals of any bonds or tax abatements. “The way economic development is structured, the governor probably doesn’t have to talk to the Legislature for a year or two,” Heastie told reporters Monday. “So in essence, the Legislature has the ability to give an opinion, but the governor doesn’t have to” consult initially.